A few days ago, we reported that Sony had penciled in a release date for Venom, a Spider-Man spin-off movie that would focus on his sticky, alien rival and wouldn’t include the Webhead himself at all. At the time, we noted that Sony was trying to develop a Spider-Man cinematic universe that could work outside of Marvel’s co-ownership deal for Spidey, and it looks like the studio is wasting no time in making that happen. 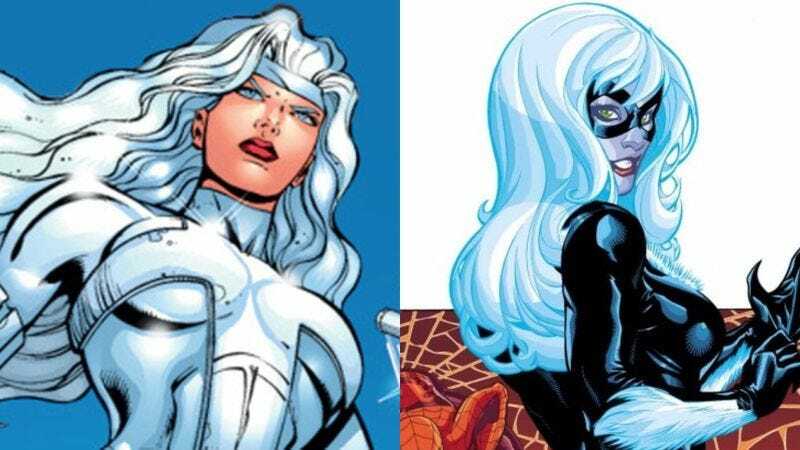 According to The Hollywood Reporter, Sony has just lined up Thor: Ragnarok’s Chris Yost to write a script for a movie about Silver Sable and Black Cat, two of Spider-Man’s most prominent female supporting characters. The THR story doesn’t say if it will overtly connect to Spider-Man: Homecoming, but it seems likely that it will do what Venom is doing and distance itself from that movie a bit so Sony doesn’t have to deal with Marvel Studios. Also, this project is the same female-focused Spider-Man movie that Westworld’s Lisa Joy was working on several years ago, so Sony has been kicking this thing around for a long time. As for Black Cat and Silver Sable, the former is pretty much Marvel’s version of Catwoman (right down to the flirty/antagonistic relationship with the hero), while the latter is a mercenary who has been known to work with and against Spider-Man from time to time. Together, they’re probably entertaining enough to carry a movie without Spidey, and this will give this world another (desperately needed) female-led superhero movie.